Year of publication: 1964, Penguin edition 1966. Reading reveals: Samson Shillitoe is the worst kind of Twentieth Century creative male - a hard drinking woman-beater who will sleep with just about anyone as long as it destroys lives. A series of unfortunate incidents leads to him coming under psychiatric care, with hilarious lobotomy-involving consequences. Actually a finely-constructed farce, only let down by a few too many minor characters getting the limelight and the odd needlessly confusing scene (a group of psychiatrists get the results of a vote while in the middle of voting on something else, for instance). Maybe not quite as funny as it needs to be. It's no Confederacy of Dunces, but it's next rung down. 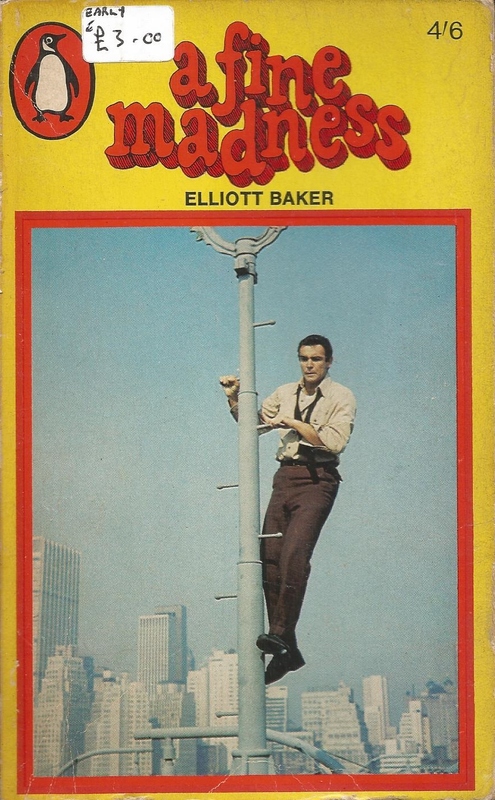 Cover shows Sean Connery up a pole from the film version. 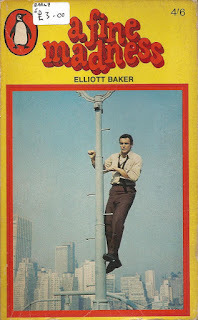 Disappointingly, he does not spend the whole film up the pole, as I had at first assumed.